I started practicing martial arts in college (Tae Kwon Do) and have been training on and off since then I have been training in Systema since 2013. My perspectives about training have changed over time. The article below represents my perspective ( that of one student) when I wrote it in 2019. Like many things I have written down over the years, I will likely come back to read it and chuckle about my ignorance. It is easy to see the contrast between Systema practice and many eastern martial arts – such as Tai Kwan Do. The Systema practitioners are training in street clothing, all ranks train together and there is little of the formality (e.g., bowing) or rigid hierarchy (lining up from senior to junior rank) that you see in most traditional martial arts schools. What is not immediately apparent is that Systema represents a different approach to learning martial arts. 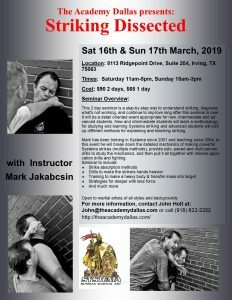 In Systema, the focus is on learning principles (e.g., breathing, relaxation, structure, movement) rather than techniques (punches, throws, blocks). As a practitioner learns these principles, they can easily adapt techniques from other martial arts. In Systema, people of all ranks train together and work on the same drills. While all of the students are practicing the same drill, each student is using the drill to refine their own skills. One student may be working on relaxing while moving, while another may be focusing on their timing. Over time, students find that the various principles complement one another, e.g., smooth movement is difficult without relaxation which is difficult with breathing, which in turn is difficult if the student is fearful. Both training partners should take care to ensure that the ego is removed from the drills. The drill should not become a contest (e.g., the provider attempting to thwart of trick the receiver). Conversely, the drill should be a challenge, the provider should execute a technique that challenges the receiver. In many martial arts, progression is similar to an academic program – a student learns some material, they are tested on the material and then they are promoted – e.g., study Brown Belt material, take the ‘brown belt’ test and receive a brown belt. In contrast, Systema has no formal curriculum and no series of ranks. Progression is measured in a couple of ways. 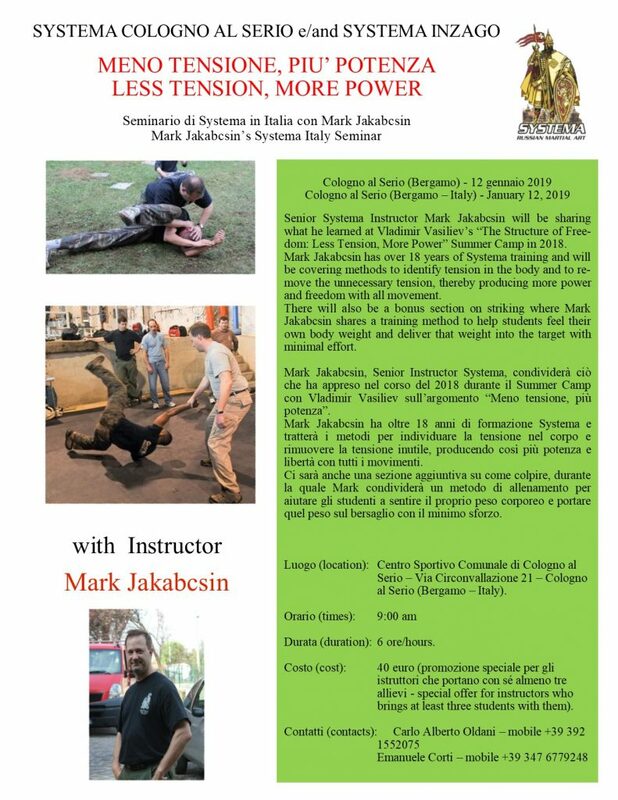 Internally, a student looks at their ability and their life and ponders – am I better as a result of my Systema training. Externally, Instructors and other students can observe the individual – how do they move, are they relaxed under pressure, how effective are their strikes. In summary, Systema’s overall approach is different from many other martial arts. 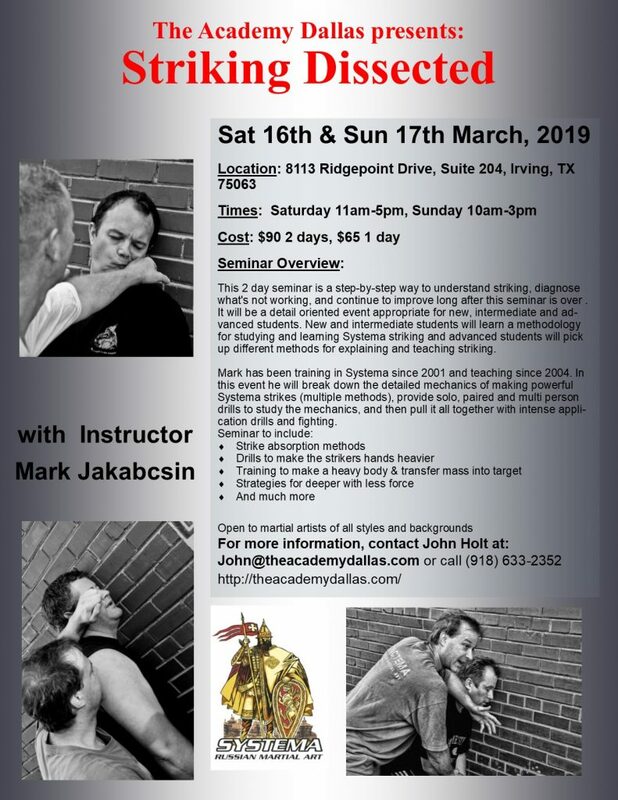 Some students will find it a good fit, while others will find Systema clashes with their concept of what a martial art should be. Ultimately, the question should be – whether it is Systema or another martial art – is the student growing through their training.